Gift vouchers will be on sale now until April 24th. Purchase 1 or 2 or ...10! Each voucher is 10% off (regularly $28). St. Patrick's Day is Upon Us! 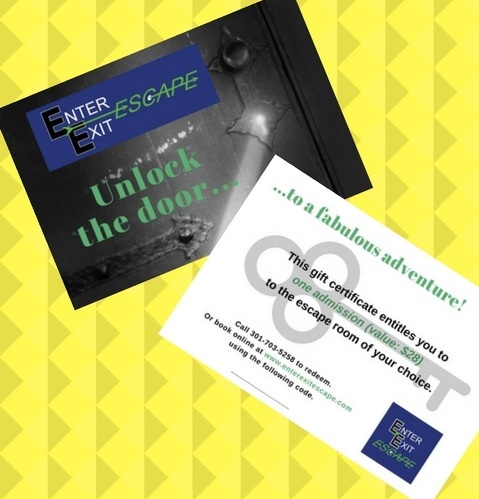 Book any escape adventure for 03.17.19 and win a prize! Everyone has the Luck o' the Irish on St. Patrick's Day - don't ya know. Pluck from the Pot o' Gold. Get a coupon for 5%, 10%, 20% or FREE admission (majority are 20%)! Teachers, school administrators, and educators of all types are welcome at this Educator Appreciation Party. Toast Your Teacher, organized in collaboration with Enter Exit Escape. We'll have board games and $1 cocktails for our educator friends. All are welcome. No advance tickets needed. Join us Thurs. February 21st from 5:30-7:30 for our monthly game night! Walk-ins are welcome, but we'd appreciate you registering and paying ahead of time. Just visit our Book an Adventure page and the Select a Date tab for Feb. 21st.